And neither do most of you, yet that won’t stop people from posting, tweeting, pinning, and blogging about her, or her deceased mother, or her grieving father and family members. People will continue to create memes, and share posts showing images of the Brown and Houston family. Their suffering, once again has been put on public display by media outlets, fans, and opportunists looking to make a dollar. I don’t know Bobbi Kristina, but I do know what it is like to experience a mother’s love. I know what it’s like to be young, and completely mesmerized by your mother’s beauty and presence. Growing up, I remember praying to one day be as pretty and as smart and as confident as my mother appeared to be. I remember the way, I hated to hear family members remind me of how much I looked like my father, when all I wanted to do was look like my mother. My mother, she always knew what to say, when to say it, and she never, ever gave up on me. I don’t know Bobbi Kristina, but I do know what it is like to be a rebellious, uncertain teenager trying to find my way and trying to prove to my parents that I knew what I was doing with my life. I know the feeling of being so angry at my mother while at the same time loving her just as much. It is an emotion, that I can’t adequately describe, but I know daughters and mothers all over the world have felt those emotions-the weird, love and angry cycle that mothers who once were their daughters and daughters who will one day be their mothers go through. I don’t know Bobbi Kristina, but I do remember being 18. I was a college freshman and I was going through one of the most difficult times in my life. I was depressed. I was homesick. I was heartbroken, but I still had my mother to rub my back and tell me it was going to be okay. 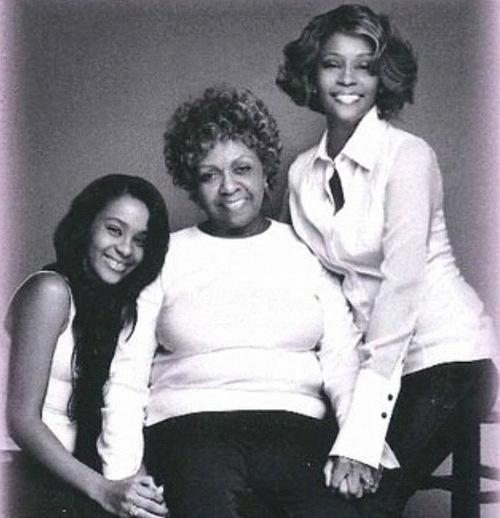 Bobbi Kristina lost her mother when she was 18. I can’t imagine what I would have done if I had lost my mother when I was 18. My mother has always been a consistent presence in my life. She’s always been a phone call away and anytime I have ever needed her, whether through a card, or a visit, or even a text message, she figures out a way to get to me. To imagine, finding my mother, the woman I most admire and the one I have always wanted to be and look like, in a bathtub, unconscious, and unable to communicate with me…I don’t know what I would have done. I don’t know who I would have turned to. At 18, to lose my mother would have been unimaginable. I don’t know Bobbi Kristina, but I do remember being 18, 19, and 20. They weren’t great years for me. I thought I was in love. I pushed the right people away, and I attracted the wrong ones. I wasn’t sure of who I was or who I wanted to be. It was a bumpy road, and yet I had my mother in the background, ready to come to the forefront whenever I called her. Bobbi Kristina has navigated the last three years of her life without her mother. I don’t know how that feels. I don’t know how I might would have reacted to wanting to pick up the phone to call my mother, only to be reminded that she is no longer with me. I don’t know how I would feel to desperately wanting to have one more day, one more hour, one more minute to see my mother’s smile, and feel my mother’s warm embrace, but not be able to. I don’t know Bobbi Kristina, but I do know all about the beautiful, complicated, roller coaster experience called the mother-daughter relationship, and I guess in a sense I do know Bobbi Kristina, and I do know Whitney Houston, and I do know Cissy Houston, because they and we, are daughters and mothers, and mothers and daughters and we all share this catty, stubborn, soul-stirring emotion called love. Love can make you do crazy, unpredictable things. Things, that only a mother and daughter would understand. Thank you Danielle for that heart warming thought provoking word. It has truly impacted me and opened my heart to more understanding of the younger generation of ladies who struggle with life and finding their place in a society of people who are find it so easy and are so quick to judge the younger ones. This helps me to realize that I too shared these feelings. I am glad that you were challenged by it, Mary. So many people are judging her situation, rather than praying for her comeback. Thanks for sharing your thoughts. I love this and totally agree.